This week’s episode of Ring of Honor television was pretty straightforward, which can be both good and bad. Overall, ROH made the most of its hour of weekly television to provide some entertaining matches and further some key stories. 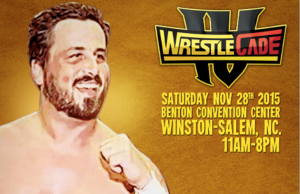 Steve Corino recently took some time to participate in an exclusive interview with PWMania.com. Here is a full recap of the July 22, 2015 edition of Ring of Honor which took place in New York, NY. "Maryland's Greatest Professional Wrestling Tradition" was highlighted by stars from the WWE HOF, Lucha Underground, TNA and a former ROH champion. This week's show features a huge World Television Title match between champion Jay Lethal and Mark Briscoe. Maria Kanellis attributes her longevity in this competitive profession to being able to redefine her onscreen character and to constantly evolve. The show opened with clips of Samoa Joe, Adam Cole, C.M. Punk, Bryan Danielson, The Briscoes, Kevin Steen, and then Jay Lethal. Does Chris Masters have a relationship with TNA? Global Force Wrestling’s, “The Adonis” Chris Mordetzky (Chris Masters) recently took some time to participate in an exclusive interview with PWMania.com. One half of Ring of Honor’s The Addiction, Frankie Kazarian recently took some time to participate in an exclusive interview with PWMania.com. Ring of Honor’s Roderick Strong recently took some time to participate in an exclusive interview with PWMania.com. 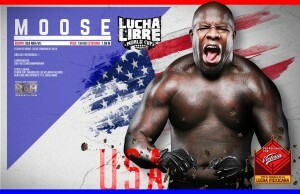 Moose conducted an exclusive interview with PWMania.com. 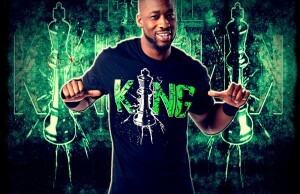 He opens up about the GFW signing rumors, his WWE tryouts, ROH, and more. Another jam packed 60 minutes of ROH TV is in the books. We are just two nights away from Best in the World! Ring Rust Radio had ROH star ADAM COLE on the show this week, and it was a great episode with plenty of exclusive content. June 3, 2015, marked the biggest day in the 13-year history of Ring of Honor as they just made their debut on national TV. 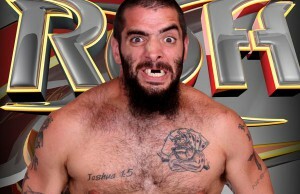 Big move for Ring of Honor! ROH will premiere on Destination America for 26 weeks beginning Wednesday, June 3, 2015 at 8pm EST/7pm CST!